White Musk is a comfortable and velvety female fragrance, dedicated to every woman and perfect for every moment and occasion. It opens with notes of ylang-ylang, galbanum and basil, followed by the heart of jasmine, rose, musk and lily,and settling at the base dominated by musk along with jasmine, rose, iris, amber, patchouli, vetiver, peach, oakmoss and vanilla. 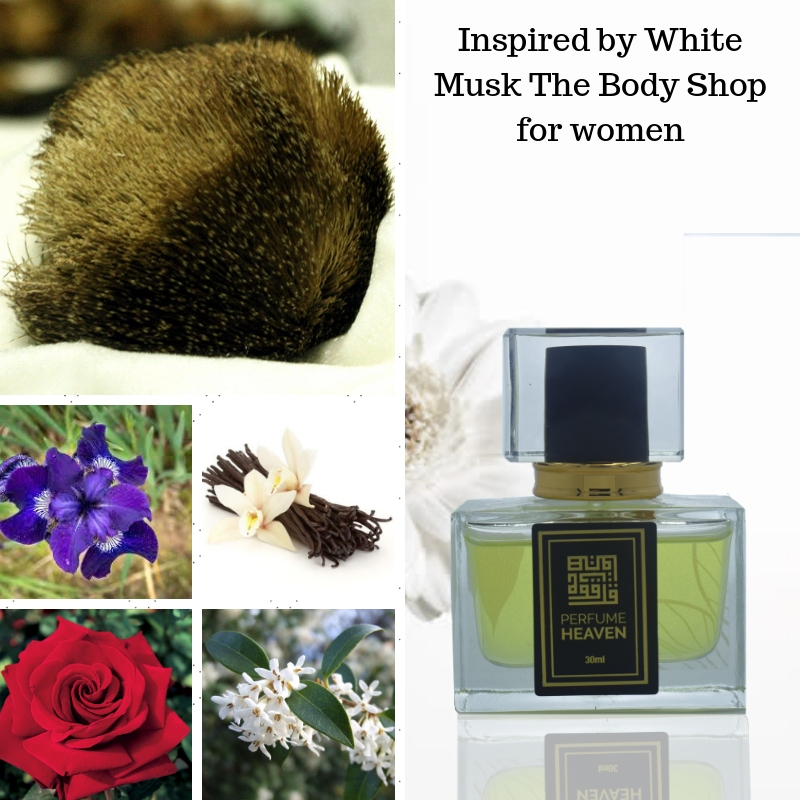 Besides an intensive 30 ml eau de perfume, White Musk is available as 15 and 30 ml White Musk Perfume Oil and 30 and 60 ml eau de toilette. White Musk was launched in 1981. Perfume rating: 3.85 out of 5 with 1855 votes.